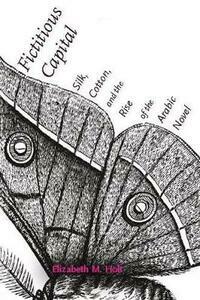 The ups and downs of silk, cotton, and stocks syncopated with serialized novels in the late nineteenth-century Arabic press: Time itself was changing. Khalil al-Khuri, Salim al-Bustani, Yusuf al-Shalfun, Jurji Zaydan and Ya'qub Sarruf wrote novels of debt, dissimulation, and risk-increasingly legible at a moment when French and British empires were unseating the Ottoman legacy in Beirut, Cairo and beyond. As silk dominated Beirut's markets and the hopes of its reading public, Cairo speculated in cotton shares, real estate and the stock market, which crashed in 1907. At the turn of the twentieth century, serialized Arabic fiction and finance at once tell the other's story. Financial speculation engendered a habit of looking to the future with hope and fear, an anxious disposition formally expressed in the mingling of financial news and serialized novels in such Arabic journals as Al-Jinan, Al-Muqtataf, and Al-Hilal. Gardens appear and reappear in these novels, citations of a botanical dream of the Arabic press that for a moment tried to manage the endless sense of uncertainty on which capital preys. Attuned to the economic and cultural anxiety animating this archive, Fictitious Capital recasts the historiography of the Nahdah and its oft-celebrated sense of rise and renaissance. Reading Nahdah as Walter Benjamin might have, as "one of the monuments of the bourgeoisie that is already in ruins," Fictitious Capital shows instead how this utopian, imperially mediated narrative of capital encrypted its inevitable counterpart, capital flight.